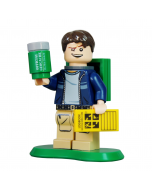 Build up your brick collection with all 4 colors! 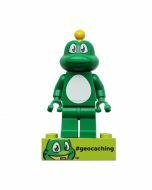 These regular 2x6 LEGO® Bricks feature Signal the Frog® on one side, and each have their own unique tracking code on the other side making them trackable at Geocaching.com! Dimensions: 1.875 inches long x .625 inches wide. Each set includes one each of black, red, yellow and blue bricks. 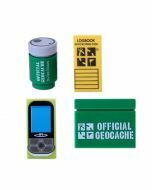 You're reviewing:Signal the Frog® Trackable Brick Set- All 4 Bricks!